After posting the previous report on Global Cities: Quality of Life, Liveability and Cost of Living Surveys 2012 – What are they worth? it occurred to me that there might be a variety of alternative rankings of where the best places to live are and this would obviously depend on who you are, your financial situation and the quality of life you currently experience in the place you wish to leave. So I did a little research and although I could not directly find what I was looking for here are some musings and links that might be of interest in countering the impression that we all have to move to Helsinki or Melbourne. 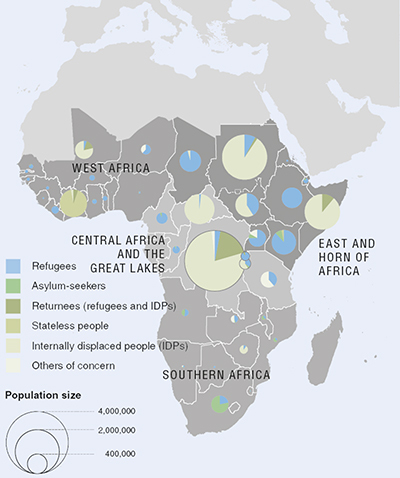 The majority of the worlds population live where they are – that is where they were born . I am one of them and have happily lived and worked my whole life here in Cape Town unlike many of my school friends, relatives and business associates who emigrated to Australia , Europe or the USA in the Apartheid era. However, for those unable or unwilling to stay in the untenable or desperate situation they find where they were born, they decide or are forced to move – usually to the nearest town or closest city they can get to – where they hope they will be able to find work and a place to stay, in deciding which city to “trek” to they definitely don’t have access to any of the aforementioned elite media or a high speed internet connection to check out what city to live in.My own parents, poor(-ish), but educated, white South Africans made the transition from a rural farming background in the pre- 2nd World War depression era to leave their rural life which was plagued by drought and uncertain farming commodity markets to seek a better future in the city and to find jobs then said to be available in government as a teacher and a Posts and Telegraph technician in Cape Town. Their parents were in turn descendants of European migrants who, several generations earlier, had fled from religious persecution in rural France and from famine and wars in Ireland and staking everything on flimsy evidence and penniless had immigrated to South Africa, landed n Cape Town and eventually found a place to settle in the somewhat desolate North West of the country in Namaqualand. My parents in their move to the city soon after they married, took advantage of kin-ship networks of family who had already moved or had strong ties with trade and professional work in the Mother City. 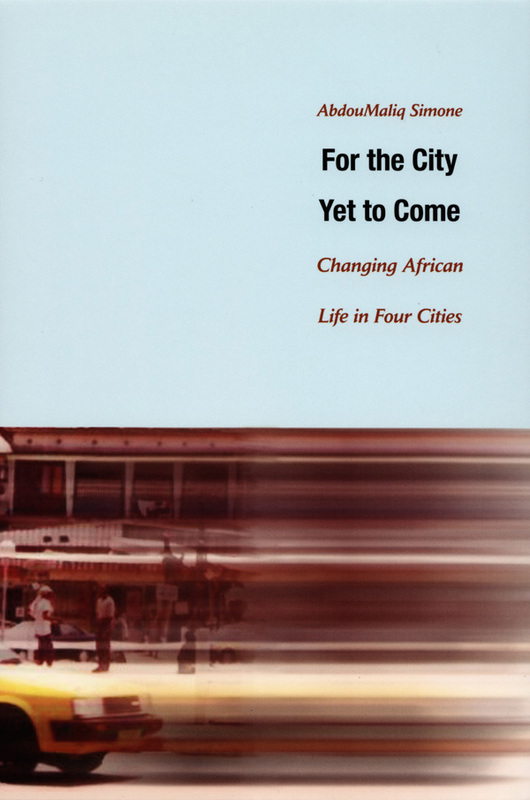 With much less opportunity but probably from similar conditions, currently waves of rural and small town inhabitants are migrating to the cities nearest to them or to more distant cities which offer the promise of a better life or at least hope of survival where their current conditions seem to be hopeless. The cultural and social capital that is exhibited here in Cape Town by migrant Malawians that obviously informs them on how to use photocopied/printed slips of paper detailing their availability, skills as gardeners, domestic help or similar jobs they are willing to do, which they deposit in suburban houses letter boxes or hand out at traffic lights, is a unique attribute of a specific nations social capital. The conditions that drive these quite well educated job-seekers to leave their homeland, and take on menial work in order to be able to sustain themselves and send income to supplement their families livelihood in the home country, is in all respects the same as that drove my ancestors and parents to migrate and seeks a better life for themselves and their children..
More recently the Gauteng City-Region Observatory released is Quality of Life Survey which included a range of reports, for example on ‘Xenophobic attitudes” which reported: “A shocking 69% of respondents in a recent survey agreed or strongly agreed with the statement that “foreigners are taking benefits meant for South Africans”. What this might mean in terms a “liveability” is debatable – is a liberal and sustainable but cold and rarely xenophobic Norwegian city more liveable that a hot North African or Middle Eastern city where there are no jobs and incessant warfare but you are in a close-knit web of family and religious networks – which is more liveable? Global Cities: Quality of Life, Liveability and Cost of Living Surveys 2012 – What are they worth? ” AFTER a disappointing performance in the London Olympics, Australia should be cheered by a set of triumphs in a more testing environment: the Economist Intelligence Unit’s latest liveability ranking. 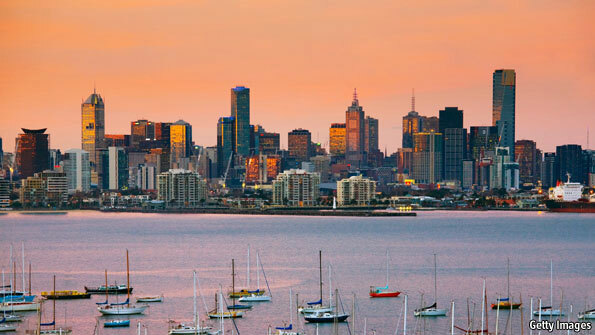 For the second year in a row, Melbourne has been adjudged the world’s most liveable city, ahead of Vienna and Vancouver, whose slip from the top of the list last year, after almost a decade, riled many western Canadians. Three other Australian cities make it into the top ten, with Adelaide rising from ninth to equal fifth in 12 months. The ranking scores 140 cities from 0-100 on 30 factors spread across five areas: stability, health care, culture and environment, education, and infrastructure. These numbers are then weighted and combined to produce an overall figure. The cities at the top of the table are separated by tiny differences, with just 0.3 percentage points between first and fourth. Cape Town does not feature in any of these rankings of course having its own infamy to live with: of at various times having been ranked as one of the words most unequal cites and some parts of it very violent – you would not want to be a women alone at night in these places! But we love it here and think we are working on making it a better place to live for all its inhabitants – not just the global elites, many of our children choose to return here to settle after a seemingly obligatory stint in London or some other global centre, despite its problems, uncertainties and high cost of living. I believe that giving exposure to efforts to include traditional and sustainable jobs and authentic hand made materials in our synthetic and transient world. Cotton is one of the most durable and eco-friendly materials when processed in traditional ways and the women that weave this cloth are in need of our support. When I was recently in a small market in Kigali, Rwanda amongst all the locally produced foods and spices, I was taken aback that all the “traditional’ fabrics that the women make their clothes from on old treadle sowing machines has all been produced in China by “traditional” processes. In the struggle for independence, Ghandi encouraged people to take to their looms to stop the practice of Indian cotton being sent to Britain for milling and re-sold back to India. This sparked a cottage industry, that today includes over 20 million families who depend on hand loom weaving. They can weave as much as 50 million meters of cloth a day, 250 million meters a week, 1 billion meters of cloth a month. All while using minimal energy and locally grown, natural cotton; making them the world’s most environmentally friendly textile manufacturers. The IOU Project, the brainchild of designer Kavita Parma, combines this fabric with European tailors to create a modern, hip, easy-to-wear sportswear line that’s traceable, transparent, authentic and unique. Parma, a designer, entrepreneur and global citizen, born in India but has also lived in the U.K., Hong Kong, Singapore, Canada, the U.S. and Spain, wanted to be involved in product development using traditional artisan skills. The IOU project is more than mere fashion, but a social movement meant to promoteresponsible consumption by disrupting and transforming existing supply chains into prosperity chains. Madras is the perfect fabric to start that chain reaction. “There is over 1 billion or more dollars worth of Madras checks (named as such) sold in the market by major brands and none of it comes from the real madras weavers and most of it is not even made in India,” explains Parma. To revindicate the Real Madras Weavers, Parma chose a co-operative where over 250,000 families have been weaving the traditional Madras checks, by hand, for centuries and then layers transparency and traceability, to create an emotional link between consumer and creator. “The IOU Project was born from the need to empower both the artisan and the consumer,” states Parma. She then went on to remind us that fashion has always reflected the social issues of the times from the corset-free silhouette of the 20’s flapper dresses to the mini skirt. The collection of sporty separates for men and women includes unisex scarves, bags and espadrilles. 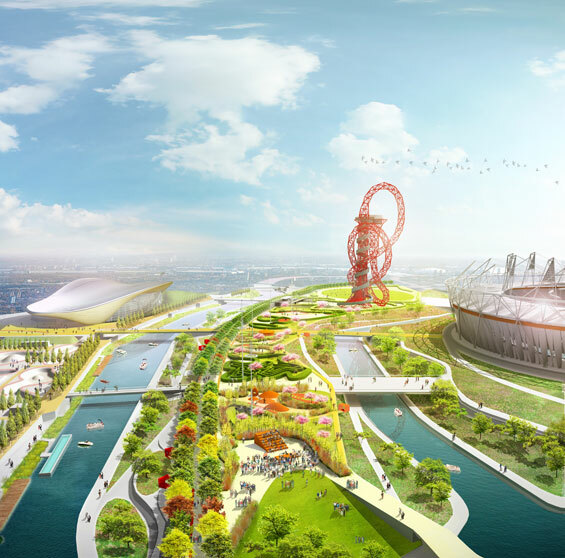 With all the emphasis on urban liveability and the popularity of such indexes and the critique of their usefulness, the rush by governments and city administrators to make cities more globally competitive and attractive to investors and the “creative class” – from spending on urban legacies it is unlikely London needs (2012 London Olympics Legacy | South Park | James Corner Field Operations) to the disastrous results of most state and government planning (The Best-Laid Plans) here is further critique of what it means to live in a fully urbanised world – much less exiting than Ridley Scott’s Blade Runner and far more sinister even than The Matrix here is the 21st century – hopefully not coming to a city near you anytime soon – at least not here in the South. 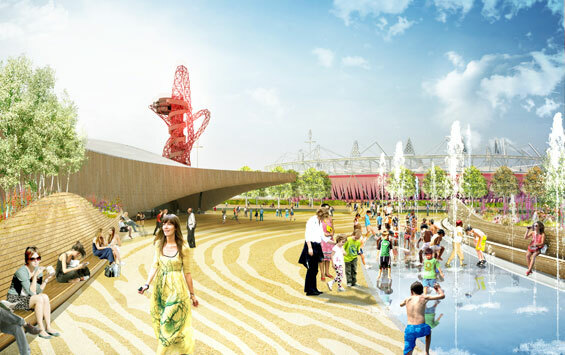 A design competition was held in late 2011 to create designs for the South Plaza to provide the stage for an exciting range of cultural, sporting and community events and activities, all taking place beneath the imposing form of the extraordinary ArcelorMittal Orbit after the 2012 Games. New York-based James Corner Field Operations were chosen as the south plaza winners for their design concept, which features a tree-lined promenade connecting flexible spaces for events, cultural programmes, food stalls and other attractions. The area will have a London’s South Bank feel and will welcome the majority of visitors to the Park. The practice is renowned for its contemporary design across a variety of projects including the award winning and widely acclaimed High Line in New York City, which is recognised as one of the best new public spaces in recent years. ” A Landscape framework for a socially dynamic & eventful pleasure ground…..
the Human Condition Have Failed. The 20th century has seen many grand schemes for improving the human condition. The collectivization of farming in the Soviet Union, compulsory ”villagization” in Ethiopia and postcolonial Tanzania, the construction of Brasilia according to Le Corbusier’s theories of urban planning, Maoist China’s Great Leap Forward and the self-sufficient rural economy that was the goal of Pol Pot’s Cambodia were ambitious efforts to better the lot of humankind. The ideas inspiring the schemes and the regimes that attempted them were highly diverse. The human costs of the experiments varied from an immeasurable toll in broken lives in Russia and China to a farcical waste of effort in Brazil. Despite their differences, these bold experiments had one thing in common: all failed. Why is it that such grandiose schemes of human betterment came to nothing? And can we be sure we have learned the lessons of their failure? In what must be one of the most profound and illuminating studies of this century to have been published in recent decades — ”Seeing Like a State” — James C. Scott contends that these apparently disparate experiments exemplify a single body of ideas. He calls this system of beliefs ”high modernism,” and he tells us that it inspired such different figures as Robert McNamara, Walther Rathenau, Jean Monnet, the Shah of Iran, David Lilienthal, Lenin, Trotsky and Julius Nyerere. Scott identifies the birth of high modernism with the economic mobilization of Germany during World War I, and describes Nazism as ”a reactionary form of modernism.” As he goes on to show, high modernism is found not only in totalitarian regimes. He sees evidence of high modernist ideas in what he terms the ”Soviet-American fetish” of ”industrial farming” — the enthusiasm for mass production in agriculture that led some American agronomists to support Soviet collectivization. What is this set of beliefs that so easily crosses boundaries between regimes, economic systems and political ideologies? For Scott, high modernism is the attempt to design society in accord with what are believed to be scientific laws. Typically, high modernists think that the best way to meet human needs is by expanding production in agriculture and industry. They want society to be governed not by the practical intelligence of its members but by scientific knowledge. Some believe that production itself should be planned. All are convinced that society must be reshaped according to a rational design. Seeing the apparent disorder of societies that are not governed by some overall scheme as a sign that they are not yet modern, they believe that in a truly modern society everything that is traditional or accidental will have been rendered obsolete. To mark the 20th anniversary of Topos, the editors have assigned two Special Recognitions to two very different kinds of initiatives. Together they both mark the broad field in which we operate. One is recognition of the Norwegian Tourist Routes (to be explained in more detail via our blog soon). The other recognition goes to Abalimi Bezekhaya – a successful self-help project initiated by the residents of the Cape Flat Townships in Cape Town. We are Abalimi. We are the Farmers. from Abalimi Bezekhaya on Vimeo. Known as the “Eastern Cape on Cape Town’s doorstep”, the Cape Flats townships (around Cape Town) are populated largely by economic refugees from the previous apartheid homelands of the Ciskei and Transkei. New arrivals into Cape Town are officially estimated to be 1200 per month and unemployment figures are in the region of 30-40%. Abalimi Bezekhaya (Farmers of Home) alleviates poverty and creates self-employment through gardening and micro-farming in the sandy soil of the Cape Flats. Voluntary association Abalimi was founded in 1983. It is an urban agriculture and environmental action association, working to improve sustainable food production and environmental greening amongst the poor in Cape Town. In particular the project targets women who often represent whole families. “Abalimi” means ‘the farmers’ in isi-Xhosa, the predominant language of their target community. Abalimi supports individual households and groups to implement their own gardening and micro-farming projects. This includes between approx. 2500 home based vegetable gardens and 70-100 community group projects (school gardens, community allotment gardens, communal gardens) per annum. It runs two non-profit nursery projects in Nyanga and Khayelitsha. Called People’s Garden Centres, they supply free advice, information and subsidised gardening inputs such as trees, groundcovers, soil improvers (e.g. manure), seed, seedlings, basic tools, windbreaks and safe pest control remedies. The Indian automobile industry is set to become the sixth largest passenger vehicle producer in the world, growing 16-18 percent to sell around three million units in the course of 2011-12. The passenger vehicles sales trend has shown an exponential growth in past few years and it is expected to grow further in coming years. Cars make a statement about the owner’s personality hence buyers are very cautious about the cars that they pick. 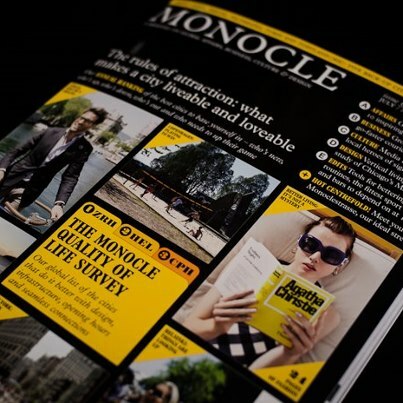 Brands also play a vital part in projecting a brand image for e.g. Honda equals Pride, Mahindra is seen as a rugged brand and Maruti Suzuki equals good value for money whereas Mercedes signifies luxury. Brands carefully pick actors, sportspersons or celebrities as their brand ambassadors as Indian consumers, mainly youth is influenced by testimonials of celebrities. First cars for most of the buyers are mid range hatchbacks. In most cases the buyer is the first person in the family to own a car. He takes his driving lessons from a driving school and prefers something easy to maneuver within the city with low maintenance costs and a great mileage.